I am trying to write up my thoughts on the few schools that we have toured so far quickly. Before it all merges together in my head. I have driven past Spring Valley school on many occasions and so was pleasantly surprised to see it listed as Science focused school in the neighborhood. Proximity + Science/Maths focus. Double win. When I toured the school, I was the only parent there. The principal, Lisa Kwong led the tour and I came away impressed with the dedication she has to the school and the students. The school building looked warm and inviting. Colorful student potraits and some 3-D art on the walls. An aquarium outside the office. Large, airy and bright classrooms. Spring Valley has a Spanish and Mandarin Cantonese Language pathway along with GE classroom. 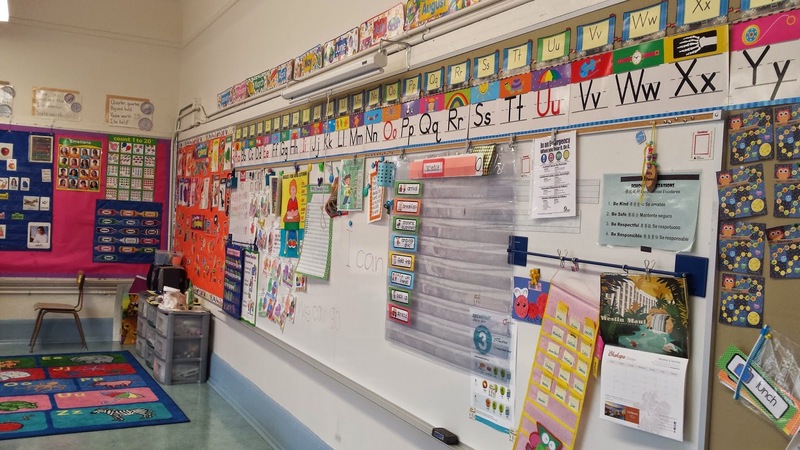 In the Kindergarten Spanish classroom, I liked how the teacher used whiteboards and “fridge” magnets to teach them phonetics. The kids were energetic and engaged. They were either leaning in or standing up to respond to the question asked. Very eager little learners. I even saw a parent volunteer in the classroom. 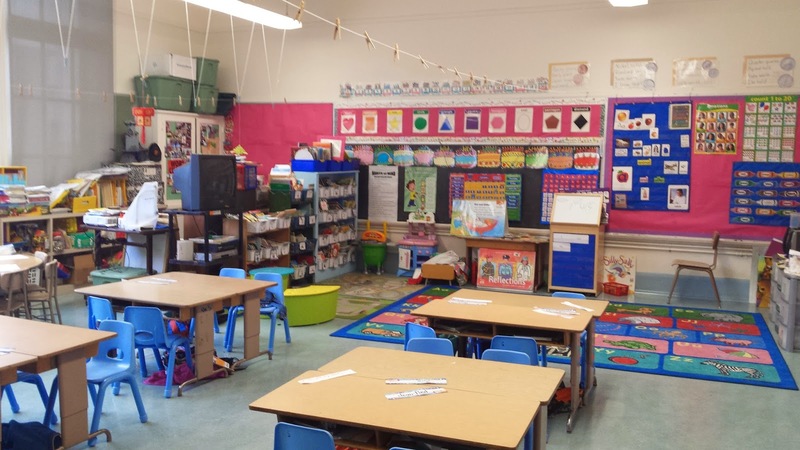 The classroom layout with individual tables, assigned seating, buckets of pencils/crayons/other art supplies on the table looked similar to what I have now seen at other schools like Sherman and Claire Lilienthal. 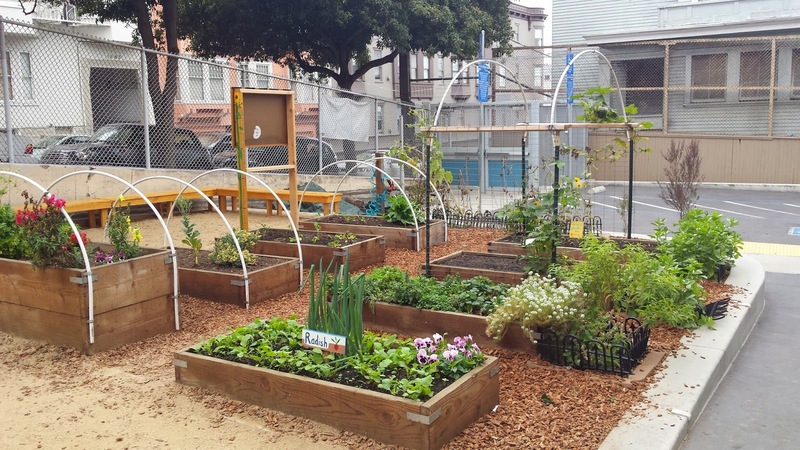 I suppose that is standard across all schools in SF. The kids wear name tags with their classroom # on them and they are allowed to go out of their classroom with a buddy. Like if a girl has to use the restroom, another girl accompanies her. I suppose that way they become friends and come back together without wandering off/getting lost. There were couple of lost kids wandering in the hallway but the principal quickly pointed them to their classrooms. The principal and the staff genuinely care about the students. She asked me not to take pictures with kids. She also made a special announcement to the kids (as they were unexpectedly testing the fire alarm due to some malfunctioning issue) not to panic and to continue what they are doing. During the announcement, one of the staff went to one of the classrooms to make sure they heard it ok. Even the principal peeped into a couple of classrooms and asked the students if they understood what she had just announced. I think it was the GE Kindergarten class whose usual teacher was on leave that day. 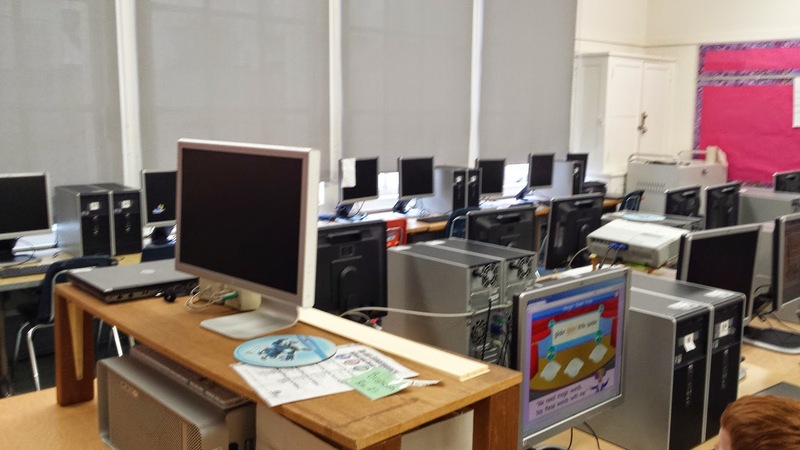 The principal helped the substitute teacher lead the class to the computer lab room and back. Even before recess she instructed the substitute teacher to let the kids use restroom before taking them to the yard. And while in the classroom, the kids were at their computers working/playing/learning. they were talking to each other; asking questions. It was not chaos but orderly. The examples lead me to believe they genuinely care about the students. One thing the principal did mention was that the school scores had steadily improved in the last few years. She expects the scores to lower due to change to Common Core and computer based testing. To that end they have started making the kids use computers and be more comfortable with tech. But they do differentiated in class learning based on student skills and how to keep them motivated/challenged. She gave me a couple of examples of kids who were moved to a higher grade and one for whom an advanced syllabus was devised based on teacher/parent and kid input. 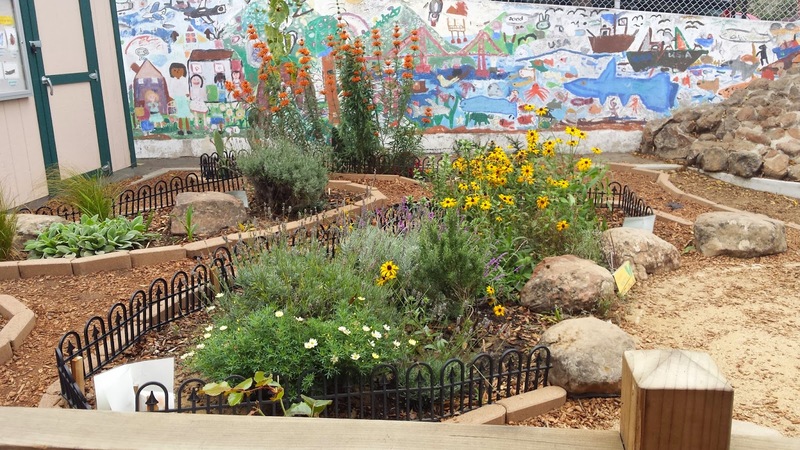 They also have an outdoor garden with an outdoor educator, a large well kept school yard with play structure, a computer lab. I don’t recall seeing the library or the cafeteria. But I see it listed on the handout . They have a fairly new PTA and it’s not as active as other schools. That’s probably because most parents in this school are working full time. Maybe someone here from their PTA can chime in. 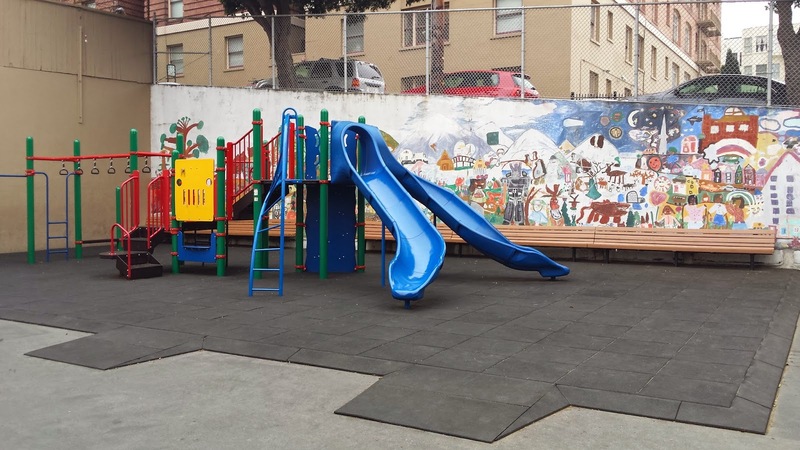 They have after care provided by Chinatown YMCA and the district managed child managed program. Lisa did mention that while there is variety of activity with Chinatown YMCA, the teachers quality may vary (as they are students themselves). V/s the district managed program which is consistent in teacher quality and is good. Before school care as such is not provided. The school yard has a supervisor from 8:15 am so they ask parents not to drop off kids before then. All in all I liked the passion and dedication of the Principal and its staff.Spring valley is a gem of a school close to our neighborhood. Before shortlisting it, I would want to learn more about their PTA and goals. After touring 4 public schools (Alvarado, Sherman, Claire Lilienthal and Spring Valley), I do think its the PTA that makes a difference. As was discussed in comments section of Alvarado school, an active PTA to me means that the parents and school care for all the kids in a way a single parent cannot. They hold each other accountable. It brings up the entire cohort/class and provides opportunities for everyone. And I don't only mean in terms of money and volunteer time at school ( which of course is great in times of underfunded schools or worse during recession). I personally have a few friends from my own elementary/middle school who had a great positive influence on me. While they were directly influencing me; their parents were also shaping their character- which in turn had a good influence on me. I hope for my son to make some such friends at school. What do you all think in terms of cohort, friendships and PTA? Do kids are elementary schools form life long friendships? What about families becoming friends in schools? Would love to read your responses!